I didn't see 2014's Ouija because frankly, it looked terrible. And upon its release the scathing reviews only confirmed it likely wasn't worth my time, but it apparently made enough money to warrant a sequel and thus we had last years prequel/sequel in Ouija: Origin of Evil. 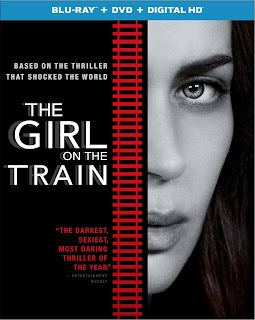 Now, despite this being more of a spiritual sequel and despite its terrible box office (no doubt due to the poor quality of the first) this follow-up from writer/director Mike Flanagan (Oculus, Hush) is supposed to be pretty good. While it might have come out last week to create more a opportune viewing time on Friday the 13th I'm still curious enough in the film to rent it and give it a go. Here's hoping word of mouth doesn't fail me. It always fascinates me when movies such as The Whole Truth show up on home video without any warning or marketing push. 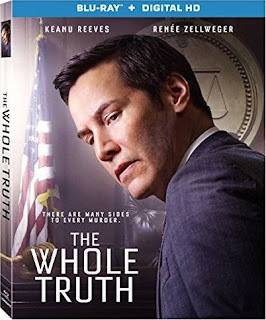 The film, about a defense attorney who works to get his teenage client acquitted of murdering his wealthy father, stars Keanu Reeves, Renée Zellweger, Gugu Mbatha-Raw, Jim Belushi, and Gabriel Basso and doesn't look half bad. It's the type of courtroom drama with marketable stars that might have made a bigger splash in the early to mid nineties, but that would have to fight for screens now and undoubtedly flounder at the box office. I'm curious to know the budget on something like this and if it would be able to make it back on unsuspecting redbox rentals alone. Either way, after watching the trailer I may give it a go myself.